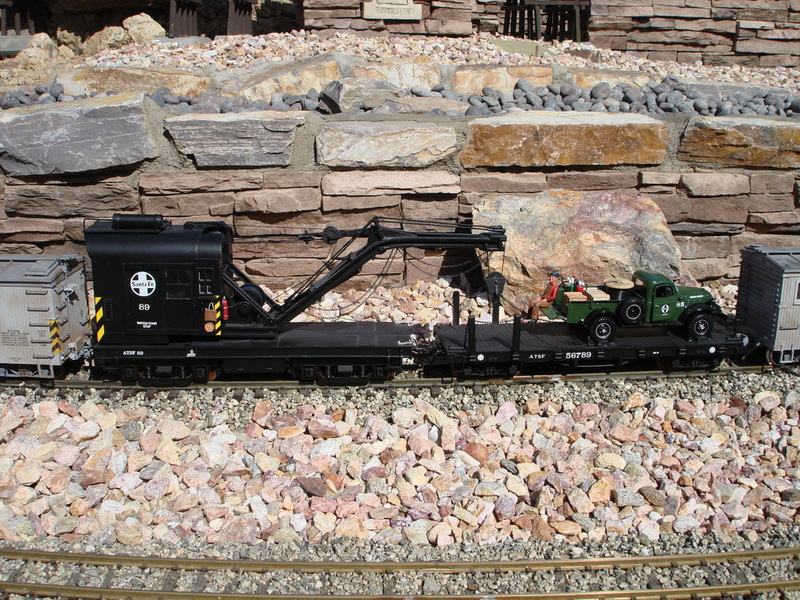 The following model started out as a USA Trains crane car. It was built for me by a very good friend of mine and avid Santa Fe modeler, Mike Stewart. He has built numerous maintenance of way trains and inspired me to build the MOW train. A scratch built boom replaced the one made at the factory. Many other details were added including steam lines, rerailers, and airhoses. The crane was then painted for the Santa Fe railway.